A MarketingSherpa email subscriber recently asked for relevant case studies on referral marketing campaigns. If you’re also looking for ideas and tactics to launch or optimize your own referral programs, here are four case studies that have some interesting examples. Roku, a video-streaming device for television, discovered that about 25 percent of its customers heard about the company from a friend or family member. The team already offered rewards to customers who sent referrals via email, Facebook or Twitter. 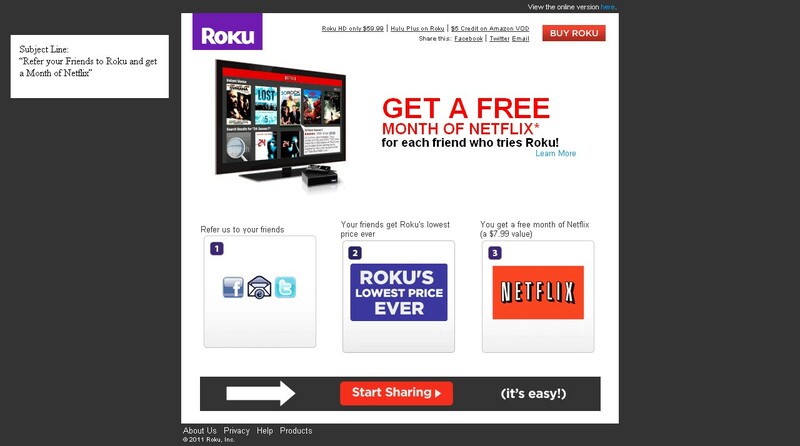 To get even more customers to participate, the team planned a triggered email campaign to Roku’s newest customers. They offered incentives for both the referrer and the newly referred customer — a free month of Netflix for each friend who tries Roku, along with a 10% discount to the newly referred customers. Of all the channels through which customers could send referrals to contacts, referrals sent via email drove 70 percent of all sales in the program. Read the full case study for ideas on improving your own referral marketing. While Roku used marketing automation to get referrals, don’t let a lack of technical acumen prevent your technology marketing. Cornerstone CPA Group gives clients business cards with the client’s name on them. If a referral turns one in, the new customer gets a free coffee mug, and the referring customer gets 20% of their original tax return as a check, up to five referrals. Any client who refers five people gets their picture on the 100% wall. Read more in Quick Referral Marketing Tutorial: 4 how-to steps plus real-life results. Customers can bring in more new customers, but employees (beyond the sales and marketing departments) can bring in customers as well. 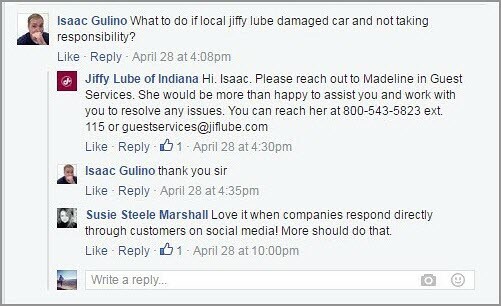 Jiffy Lube of Indiana wanted to get greater engagement with customers and increase repeat business. The system of franchised oil change service centers began social media and content efforts. In this case, it was essentially employees referring Jiffy Lube to customers, something the franchise had never tried before. For example, the team produces videos of employees. “We didn’t give them a script. It’s off the cuff. Some of them are great, [and] some of them really kind of struggle with it, but it’s real,” said Steve Sanner, President, Jiffy Lube of Indiana. The team not only produced content about cars but about the community as well, like a tweet about a local artist’s exhibit. “The artist retweeted our tweet, saying he’s finally arrived as an artist because Jiffy Lube is promoting his art exhibit. And we had like, four people come into the store in Broad Ripple because they saw his retweet and thought it was so funny,” said Sanner. In addition to producing content, the team handled complaints quickly. Read the full case study for ideas on getting employees engaged in referral marketing. A buzzworthy event is another opportunity for referral marketing. I’m playing the Tournament Challenge on ESPN because of an office March Madness pool, i.e., a referral. For SquareTrade, the buzzworthy event it took advantage of was a product launch. The provider of extended warranties for consumer electronic products noticed the positive word-of-mouth it would receive from a subset of its customer base and created a referral program around the release of the Apple iPhone 4S because it knew its most engaged brand advocates bought Apple product extended warranties. The team held a sweepstakes promotion, giving away 50 Apple iPad 2 tablets in 25 days. Customers were given an incentive to share to increase their chances of winning the contest. Each day someone was chosen to win, both that person and the referrer received the iPad 2. In addition, if a referral purchased, the referrer received $10 for every referral and $100 for every five referrals. Newly referred customers received $5 off new warranties they purchased. The referrers received their $10 and $100 incentives through PayPal, or with iTunes or Amazon gift cards. Total participants reached about 18,000 people, and about 1,000 customers purchased a $100 warranty from referrals. “As much promotion as we did (on the social channels), I think it was the promotion that our fans did and that our referrers did that took it to the next level and in a very powerful way,” said Will Spencer, Marketing Manager, SquareTrade. 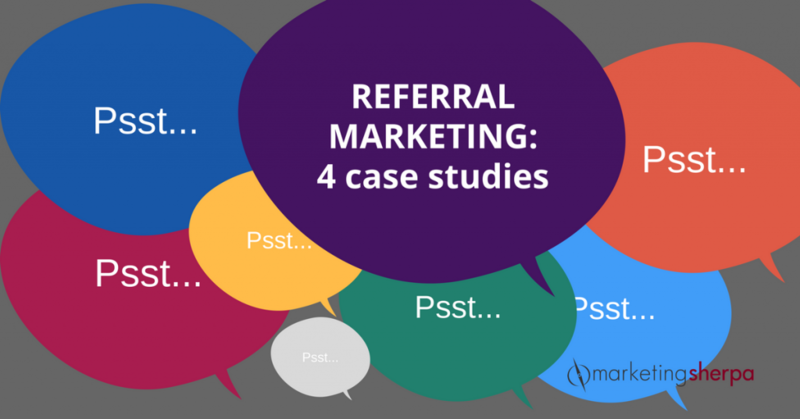 Read the full case study for real-time referral marketing ideas.